ORLANDO – Inspired by a post-practice pep talk from one of the greatest shooters in franchise history, the Orlando Magic went out and put on the kind of shooting showcase on Friday night that had to be pleasing for former forward Rashard Lewis. The Magic apparently took the message to heart and then went out and systematically took apart the slumping Washington Wizards for three quarters before needing to hang on in a tense fourth for a 117-108 victory at the Amway Center. Eager to rebound from a Wednesday loss to the Detroit Pistons when they squandered two double-digit leads, the Magic (5-7) shared the ball and shot it well most of the night and seemed to be on their way to a laugher of a win. An Amway Center crowd of 16,562 looked on in delight as the Magic drilled 10 of their first 20 3-point shots and led by 25 points late in the third quarter. Washington (2-9) got within 15 by the start of the fourth quarter and remarkably surged to within 106-105 with four minutes to play on a John Wall slicing layup. 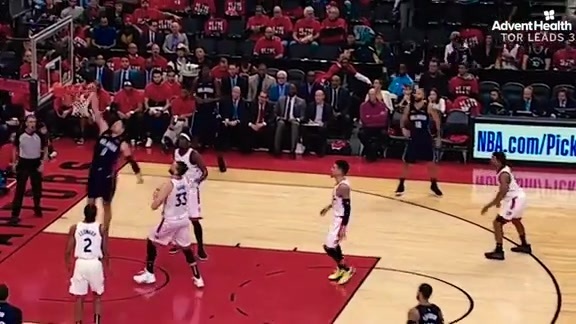 However, Orlando was able to turn back that spirited charge with a couple of clutch plays from Augustin. With the Magic up just one and the home crowd obviously feeling the tense situation, Augustin drilled a 3-pointer from the left wing to push the Orlando back up to four. Seconds later, Augustin found Terrence Ross on the fastbreak with an alley-oop lob that put Orlando ahead 111-105 and elicited a burst of rousing noise from the Amway Center faithful. Augustin, who is in his third season with the Magic, said his team has been good all season about responding – to bad games and to bad stretches within games. On Friday, Orlando responded to Wednesday’s loss and the Washington’s late run with some determined play. Orlando guard Evan Fournier (15 points and six assists) followed up Augustin’s clutch baskets with a back-breaking 3-pointer that sealed the victory. Aaron Gordon, who said he sprained his left ankle in the third quarter but played through the pain, had a stellar all-around effort and finished with 20 points, seven rebounds and four assists in 42 minutes. Nikola Vucevic played well against former Magic standout Dwight Howard, contributing 21 points, 14 rebounds and two blocked shots. Two nights after Orlando’s second unit played poorly and was a primary reason why the squad lost, the reserves thrived on Friday. Center Mo Bamba made seven of eight shots and finished with 15 points. Jerian Grant chipped in 13 points, while Ross added 12 more points, seven rebounds and three assists. Washington and its NBA-worst defense proved to be the perfect antidote Orlando’s shooting struggles on the season. The Magic carved up a Wizards’ defense that came into the game ranked 30th in points allowed, 29th in 3-point percentage allowed and 25th in field goal percentage surrendered for 51.2 shooting. What made Orlando’s play even more impressive is the one-sided history between the two teams in recent years. The Magic came into Friday having dropped 17 of the past 20 games against the Wizards. However, on this night Orlando quickly dismissed a 13-2 deficit early in the night by dominating play much of the final three quarters. Bradley Beal had 27 points and four 3-pointers for Washington. Long-time Magic-killer John Wall chipped in 19 points and 12 assists, while Kelly Oubre Jr. added 19 points off the bench. Howard, who is with his sixth NBA organization since forcing his way out of Orlando, had 12 points, eight rebounds and four turnovers in 26 minutes. Lewis, who played for the Magic from 2007-11, sat near the Orlando bench on Friday and was honored by the franchise as part of its 30thanniversary celebration. Lewis, a long-time favorite of Clifford’s both when he was previously an Orlando assistant coach and now, was a driving force on the Magic teams that reached the NBA Finals in 2009 and the Eastern Conference Finals in 2010. The forward who made 226, 220 and 178 3-pointers in his first three seasons in Magic pinstripes spoke to Orlando’s players following their morning shoot-around session. ``I’m just waiting for the time when it doesn’t take a loss to spark us and we can get that consistent play,’’ Gordon said. ``Rashard Lewis was talking to us today and said if he could give us two words that were important it was consistency and sacrifice. Those are important to having a successful team and I hope the rest of the guys took that in. The Magic will get their first look at the New York Knicks and former Orlando forward Mario Hezonja when they face the Knicks at Madison Square Garden on Sunday night. Hezonja, the No. 5 pick in 2015 by Orlando, played for the Magic for three seasons, but never lived up to expectations for a variety of reasons. Hezonja signed a one-year free-agent deal with the Knicks last July, in large part, because he knew he would struggle to get playing time in Orlando behind Gordon, Bamba and Jonathan Isaac. Up 15 at the half thanks to strong performances from their first and second units, the Magic pushed the lead out to a whopping 25 points midway through the third period. Orlando flattened out a bit late in the period, but still had an 89-74 bulge by the start of the fourth quarter. Orlando got off to a shaky start, but straightened things out quickly and got on track well enough to lead 63-48 at intermission. Despite making just one of their first five shots with two turnovers, the Magic played well enough the rest of the way to shoot 55.8 percent with eight 3-pointers in the first 24 minutes of the game. Unlike on Wednesday night when the Magic’s second unit struggled and cost the team a potential victory, the reserves set the stage for the stellar first-half play. With the game tied at 23 late in the first quarter, Clifford turned to a lineup of Bamba, Ross, Grant, Simmons and Jarell Martin. That grouping, which met prior to practice on Thursday at the behest of Ross, played well enough to push the lead out to 48-34. Bamba drilled all four of his shots, including two 3-pointers, for nine first-half points. Bamba said the reserves were determined to redeem themselves following Wednesday’s stinker.